Shipped From Our Boat to Your Door! WE NOW HAVE Caviar AND Shrimp!! At Walter's Caviar we pride ourselves in providing caviar of impeccable quality. 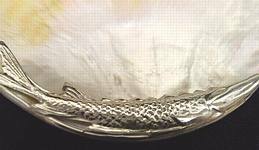 Caviar is an experience steeped in centuries of tradition. 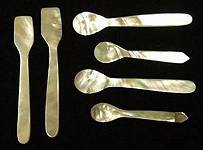 It emanates luxury and royalty, and is recognized as such around the world. Our caviar is sure to exceed the expectations of even the most discriminating connoisseur! Walter's Caviar is available in 4.5 and 12.5 oz. tins. All caviar is packed to order and shipped FedEx Priority Overnight. In the unlikely event that you would need to claim or return your order, please contact Walter's Caviar within TWO business days. To order online simply fill out your selections on the orderform below. Fax your order. Fill in the orderform below, print and fax to 912-437-4719. If, for any reason, you are not completely satisfied, contact Walter's Caviar within two business days. Mother of Pearl Barrier Reef Caviar Shovel $24.00 each  How many? Mother of Pearl Caviar Spoon (Sterling trim) $24.00 each  How many? 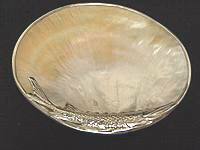 Mother of Pearl 4 oz Caviar Spoon $20.00 each  How many? 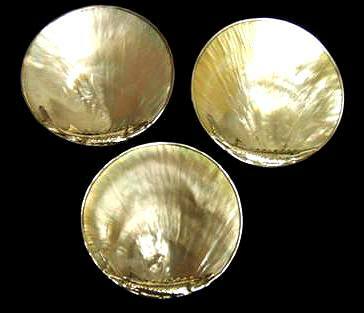 Mother of Pearl 2 oz Caviar Spoon $10.00 each  How many? Mother of Pearl Sterling Sturgeon Rim Caviar Palette $60.00 each  How many? 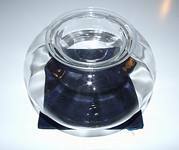 Optical Glass Caviar Party Server $40.00 each  How many? 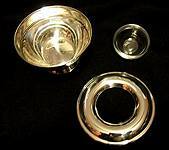 3 pc Silverplated Caviar Server $70.00 each  How many? Shipping and Handling Charges will be Added to the Total. Georgia Orders will be charged Georgia Sales Tax. by Email, Fax, or Telephone.